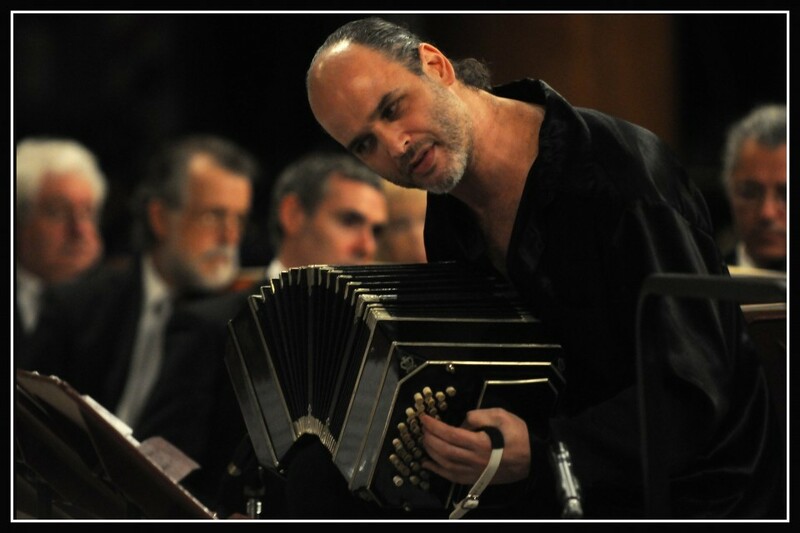 Born in Buenos Aires, Marcelo Nisinman is one of the best-known bandoneon artists. He is much in demand as a soloist with orchestra and at festivals around the world. He studied his instrument under Julio Pane and composition with Guillermo Graetzer in Buenos Aires and Detlev Müller-Siemens in Basle. Nisinman has collaborated Martha Argerich, Gidon Kremer, the Britten Sinfonia and the Philadelphia Orchestra under Charles Dutoit. The roots of Nisinman's music lie in Argentine music and the tango, from which he has created his own new and original musical style and technique. He has written music for a range of ensembles, from string quartet to symphony orchestra. In 2009 he and clarinettist Chen Halevi founded the Tango Factory quartet, which has performed his compositions as well as his arrangements of works by Piazzolla and Weill.